Presentation by Rabbi Raymond Apple at an event hosted by the Society of Jewish Lawyers and Jurists on 29 November, 1993. Marriage is a dream which can become a nightmare. When a marriage goes wrong, everybody weeps – the couple, the children, the relatives, and even, according to a Talmudical saying, the altar in the sanctuary. Yet even a nightmare can somehow be put behind you. You are chastened and saddened, but somehow you can move on. That is, so long as you can summon up the moral courage and dignity to close the chapter that is ended. But much extra suffering is caused when one spouse refuses to let the chapter end and, out of spite, hurtfulness or financial advantage, or for any other reason, leaves the other trapped and unfree. The glory of Jewish marriage and divorce is that both are the voluntary act of the parties. The rabbi does not marry them; they marry one another. What the rabbi does is to provide the legal and ceremonial framework. If, despite everything, their marriage collapses, it is they who divorce each other. What the Beth Din does here too is to provide the legal and ceremonial framework. This is the axiom of Jewish marriage, imported into their union the moment the formula is uttered under the marital canopy, “Behold, thou art consecrated to me by this ring according to the law of Moses and Israel”. In theory, therefore, there should be no agunah problem, no need for prenuptial agreements, no need to seek the assistance of the legislature and the courts. In theory every couple whose marriage is over should have the instinct and the conscience to do the right thing and immediately co-operate in a gett. In practice it does not always work so smoothly. Sometimes a recalcitrant spouse (usually, but not invariably, the husband) must be persuaded to co-operate. Herein lies the problem. For the gett must be given and received without compulsion or conditions, as an act of free will. Yet how free must free will be? Hence the Mishnah rules that “regarding a divorce we force him until he says, ‘I want (to give the gett)” (Arachin 5:6). Another Mishnah says, “A gett given under compulsion is valid if ordered by an Israelite court, but if by a gentile court it is invalid. But if the gentiles beat a man and say to him, ‘Do what the Israelites bid you’, it is valid” (Gittin 9:8). Maimonides explains why a gett required and ordered by an Israelite court is valid. It is not that the court has interfered with or undermined his free will. What it has done is to utilise dramatic means to make his natural law-abiding instinct assert itself. The law which he now complies with is dat moshe vevisrael – “the law of Moses and Israel”. The gentile court can, however, not order a person directly to give a gett, because that court does not necessarily recognise the Divine authority which lies at the basis of Jewish law. Nonetheless the gentile court can say, “Do what the Israelite court tells you”, because, according to the commentator, the RaN, the gentile court in this respect is like the sheriff (literally, “the rod and strap”) of the Israelite court. 1. A Jewish court may use certain types of pressure to ensure there will be a gett. 2. A civil court may use certain types of pressure to compel a person to comply with the directives of the Jewish court. In a community in which a Beth Din is not limited to merely religious and moral sanctions, it is easier to assert pressure an a recalcitrant spouse; in the Diaspora, it sometimes needs reinforcement by the provisions of the civil law. Such provisions appear to offer three major options, ideally all would be available in one way or another. 1. Prenuptial contracts: the latest attempt at these has been constructed by the British Chief Rabbi and the London Beth Din after discussion with members of the judiciary. It is in the form of an amendment of the ketubah, the traditional marriage covenant, and provides that (a) if the marriage fails and there is a civil divorce, the husband will continue to maintain his wife until there is a religious divorce; and (b) if the marriage fails, both parties will attend at a designated Beth Din and co-operate with its instructions. In terms of halachah it is a most useful approach, but I tend to feel it is better to separate such an agreement from the ketubah, or to follow the approach of J David Bleich, who recommends an agreement that comes after, not before, the ceremony under the canopy. Some argue that it is psychologically unwise to talk about possible divorce at the very moment the couple are dreaming of marriage with stars in their eyes. My experience has been that couples marrying these days are quite realistic, discuss everything, and recognise the practical need for what is tantamount to an insurance policy. An Australian Jewish prenuptial agreement has been drafted by a member of the legal profession at the request of the Sydney Beth Din. This may accord more closely with the Australian legal situation, but the matter has not yet been tested in the courts. Many Australian rabbis support prenuptial agreements in principle and keep in touch with legal friends concerning appropriate forms of words. 2. Legislative Provision: the Australian Law Reform Commission in 1992 recognised the reality of multi-cultural, multi-ethnic Australia by recommending the adoption of the Canadian pattern, that a court shall have power to adjourn proceedings if one party has not taken all steps solely within his/her power to remove any barrier to the ex-spouse’s remarriage. Many of us see this as a historic breakthrough. But can it be philosophically justified? Does it not appear like a secular state intervening and involving itself in religious matters? In response it can be argued that the separation of church and state has never been absolute, but in any case the law is not here intruding upon doctrinal matters, nor compelling the practice or non-practice of a religious observance. It is simply taking note of the whole gamut of circumstances in which a citizen may find him or herself with all the financial and other practical implications that flow. 3. Judicial Activity: various options have from time to time been urged upon courts, and sometimes approved, whereby the giving and acceptance of a gett is incorporated into settlements, agreements or orders. These depend on the nature of the situation and it is not appropriate for me as a non-practitioner of the law to comment further than to say that a significant number of gett cases that now come before the Australian Batei Din arise out of such circumstances. The free will problem probably does not arise in such cases if the civil divorce has preceded the gett. 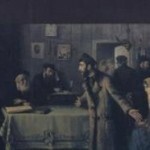 The fact that there is a civil decree, according to Rabbi Moshe Feinstein, is generally evidence that the parties do want to be divorced, and the subsequent gett is regarded as a voluntary act. I ask, in conclusion, why there is a problem at all. Is it because of a defect in halachah, Jewish law? No, but halachah cannot be indifferent because people’s respect for halachah is, rightly or wrongly, at stake. Is it because of a defect in secular law? No, so long as the secular law does not hide behind the Australia of the past and fail to take account of the multi-cultural nature of Australian society. Is it because of the changed nature of Jewish society? The answer is yes, because halachah no longer commands the automatic obedience of every Jew, and many Jews do not have a halachic instinct. Fundamentally the problem lies in the tragedy of human beings who, under the intolerable strain of marriage breakdown, need to be helped to think straight and act properly. This entry is filed under Articles, Australian Jewry, Marriage & Divorce, Women's Issues.